"Dip dip dip dip dip!!" That's the chant our tiny gentleman shouts at each meal. The kid is obsessed with dip. He will eat anything with dip on it. And the dip doesn't really matter - ketchup, ranch dressing, tzatziki, you name it, if it's dip-able, he's into it. The grown-ups in the house are also really into dip! Chips and veggies are generally just dip-delivery-devices. 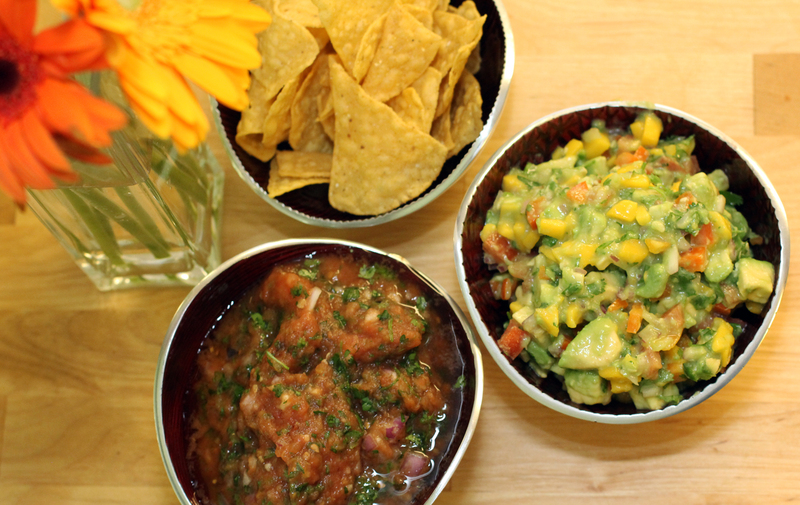 Two of our faves are guac and salsa. A dear friend made us these amazing versions years ago and they've been in our regular rotation ever since. These are actually recipes my husband usually makes, but he doesn't write the blog, so there. Mince the chili and onion. 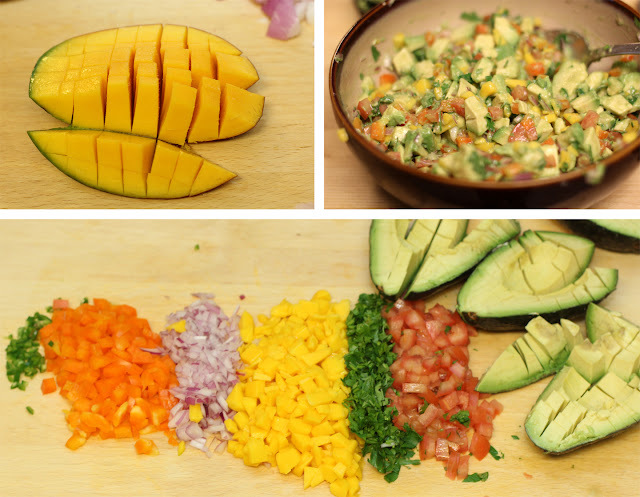 Chop the bell pepper, mango and tomato into small dice. Shred the cilantro. Cube the avocado and juice the two limes. Mix all ingredients with the salt. Stir to combine well, but don't mash up too much. In a cast iron skillet, or on a griddle, roast the tomatoes and chilies until blackened and the skins are bursting, turning to blacken all sides, about 10 minutes total. 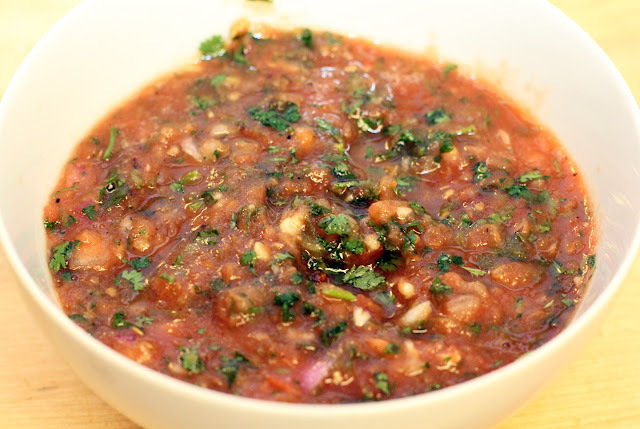 Add the tomatoes, chilies, garlic, cilantro, onion and salt to a blender. Pulse until well blended and dip-able. We like to be able to see the different ingredients.